A scene from 'Dersu Uzala'. In his illustrious career, Akira Kurosawa directed three films that were based on works by Russian writers. ‘Dersu Uzala,’ a Japanese-Soviet co-production that was filmed in the Russian Far East won an Oscar in 1976. Almost 40 years ago, ‘Dersu Uzala,’ a film based on the life of Russian explorer and writer Vladimir Arsenyev won the Oscar for the Best Foreign Language Film. The Russian-language movie was a Japanese-Soviet co-production, directed by one of the giants of international cinema, Akira Kurosawa. Besides being Kurosawa’s first non-Japanese language movie, ‘Dersu Uzala,’ was his first and only 70 mm film. The masterpiece was shot in the wilderness of the Russian Far East, when the region was strictly off limits to foreigners. Kurosawa, who directed 30 films in his illustrious career, was already 65 when he directed the film about Arsenyev’s surveying expedition in the Ussuri region. However, Russian literature influenced the filmmaker from an early age. In 1950, Kurosawa directed an adaptation of Dostoyevsky’s ‘The Idiot.’ The setting was changed from St. Petersburg to Hokkaido, but the film almost completely followed the plot of the book. “The film was ripped apart by Japanese critics, but still managed to do well in the box office,” says Leschuk. A large part of that success can be attributed to the fact that the role of the Japanese version of Prince Myshkin was played by popular actor Setsuko Hara. Kurosawa also directed an adaptation of Maxim Gorky’s best-known play, ‘The Lower Depths.’ The adaptation was faithful to the play, which was a hallmark of Russian social realism, but the setting of the 1957 film was changed to 16th century Japan. By 1975, Kurosawa was seen as one of the most influential filmmakers of his generation. He received unparalleled access to the Russian Far East, a region that the Soviets guarded zealously. “I saw him in Vladivostok in 1975 and he was wearing his trademark tinted glasses,” says Nadezhda Kuznetsova, a retired academician. “It was a rare sight to see a foreigner in the city at that time, let alone someone of his stature.” She adds that a large Japanese crew was given permission to shoot in the forests of the Primorye Territory and Khabarovsk Region. The Soviet secret services kept a close watch on the Japanese crew, who were responsible for bringing some rare images from the region to the silver screen. ‘Dersu Uzala’ was released in 1975 and met with immediate success in the Soviet Union. It won the International Federation of Film Critics Prize at the 9th Moscow International Film Festival, before going on to win the Oscar. The film was also a commercial success in the U.S. and Canada, making $1.2 million in ticket sales. 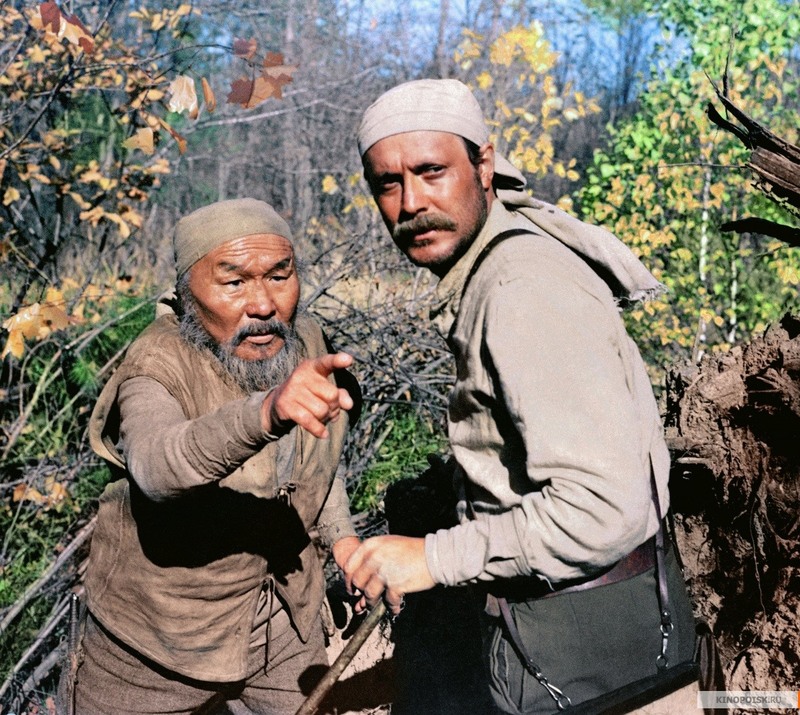 Yuri Solomin, who played the lead role in ‘Dersu Uzala,’ would go on to develop a special friendship with Kurosawa. Solomin, who has been the art director of Moscow’s Maly Theatre since 1988, also said in the interview that he learned a lot about direction from Kurosawa. He met the Japanese auteur again when the Maly Theatre went on tour to Japan in 1990. Solomin then suggested that Kurosawa stage a play in the famous Moscow theatre, and the Japanese filmmaker said he wanted to stage ‘The Idiot.’ The plans never materialized. Kurosawa’s films are regularly screened at Japanese film festivals in Russia, especially in the Far Eastern regions. The Russian government also continues to promote ‘Dersu Uzala’ at Russian film festivals abroad. The film is seen as one of the best example of Russo-Japanese cultural cooperation.